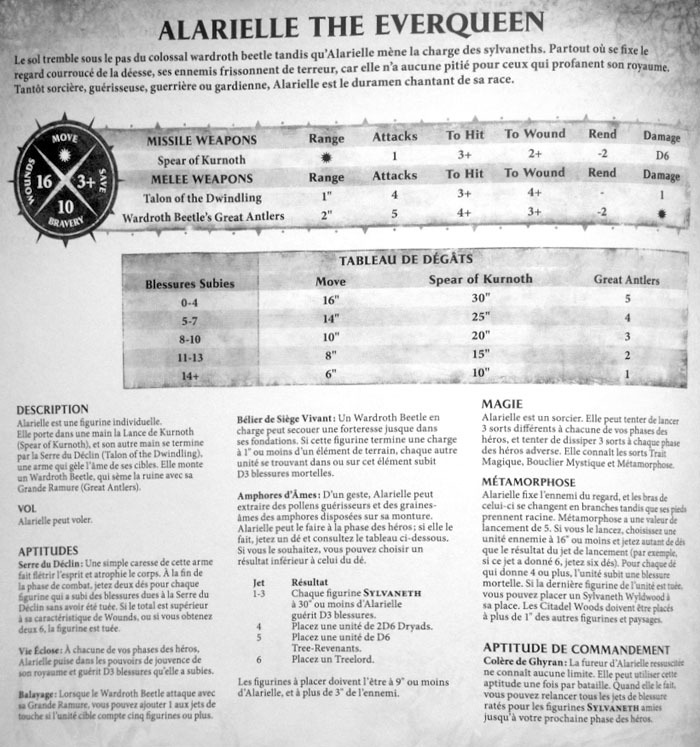 AoS: Alarielle the Everqueen Rules Spotted! Here mini is JUST AMAZING! 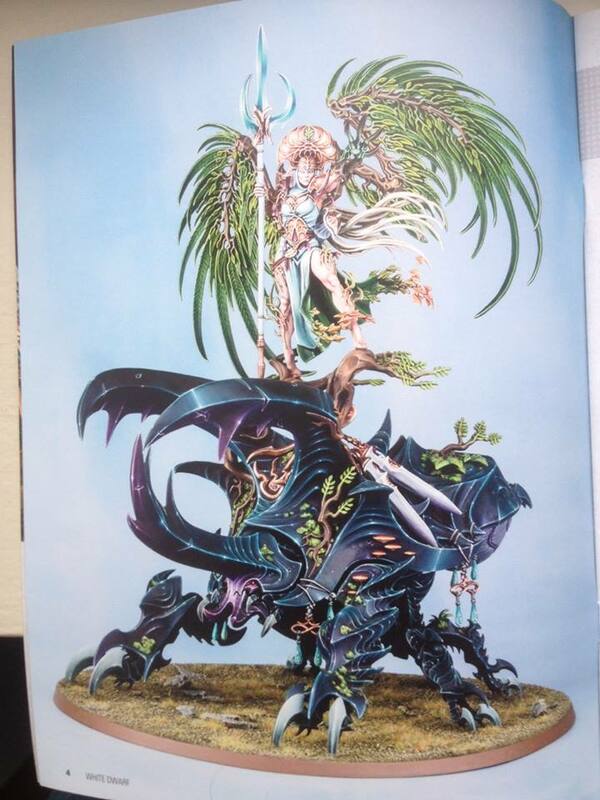 I love how the new Sylvaneth range is depicting fantastical insects in a way that it very different from say Tyranids. I’m loving it. I can’t wait to see this big guy charging into combat with Khorgoraths or Ogor Stonehorns. – CRASH! – Talon of the Dwindling: For each character injured but not killed by this weapons, roll two dice. If the result is a double 6 or higher than the current wound characteristic of the model, it is slain. – Blossomed Life: heal d3 wounds in each of your hero phase – Swiping blows: You can add 1 to the hit rolls of the Wardroth antlers attacks if the enemy units has 5 models or more. – Living Ram: If the Wardroth Beetle ends a charge move 1″ away from a scenery piece, every other unit in that scenery piece takes d3 mortal wounds. Metamorphosis: Pick an enemy unit up to 16″ away. Casting value of 5, roll as many dice as the casting result. Every 4+ inflicts a mortal wound. 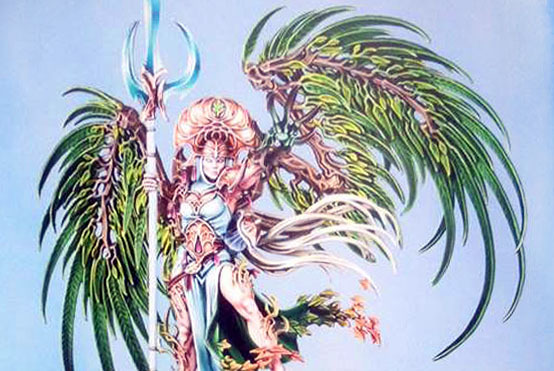 If the last model of the unit is killed that way, place a set up a sylvaneth wyldwood where the unit was but 1″ away from any other unit and scenery. – Wrath of Ghyran: Once per battle, you can re-roll all wound rolls of all Sylvaneth units until your next hero phase. ~So, who do you think the Everqueen can hang with now? Good enough to take on the other big bosses in the game?